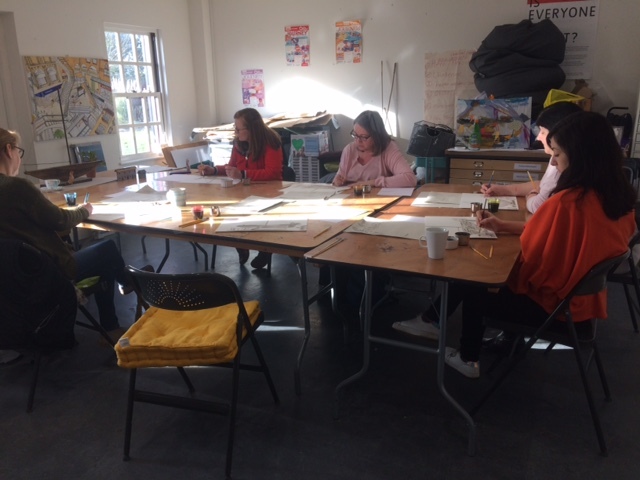 Supportive, artist-led sessions which explore drawing and using different materials, in a welcoming and relaxed space. Six weeks of sessions, from Fri 18 Jan – Fri 22 Feb 2019. £5 per session, payable directly to Ali. If you are currently caring for someone and would like a regular creative break in your weekly routine to meet new people in a similar position and explore your creativity, Ali invites you to come along to spend some time in an informal, friendly environment in the middle of the park.